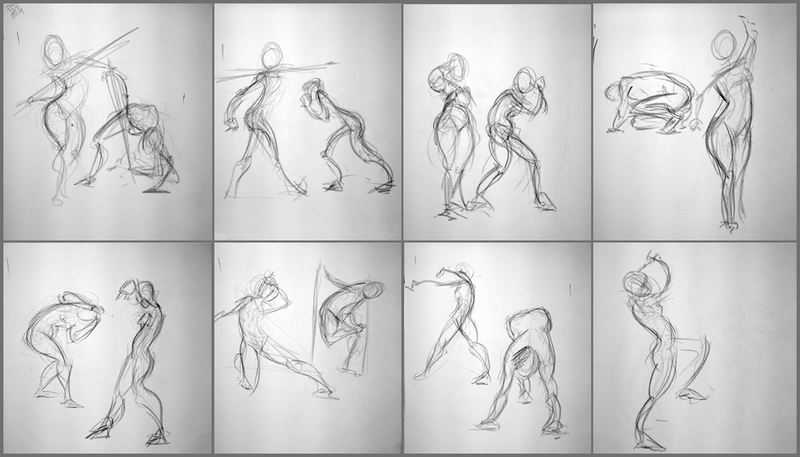 Class #2, I tried to get my gestures more gestury and less contoury. Still have some work to go on it, but I'll get there. I really ended up liking the middle 25 min pose.